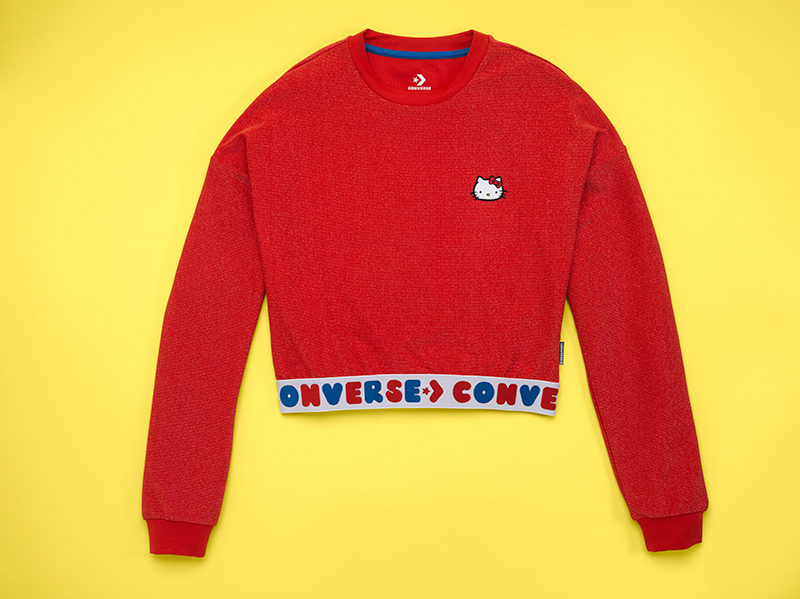 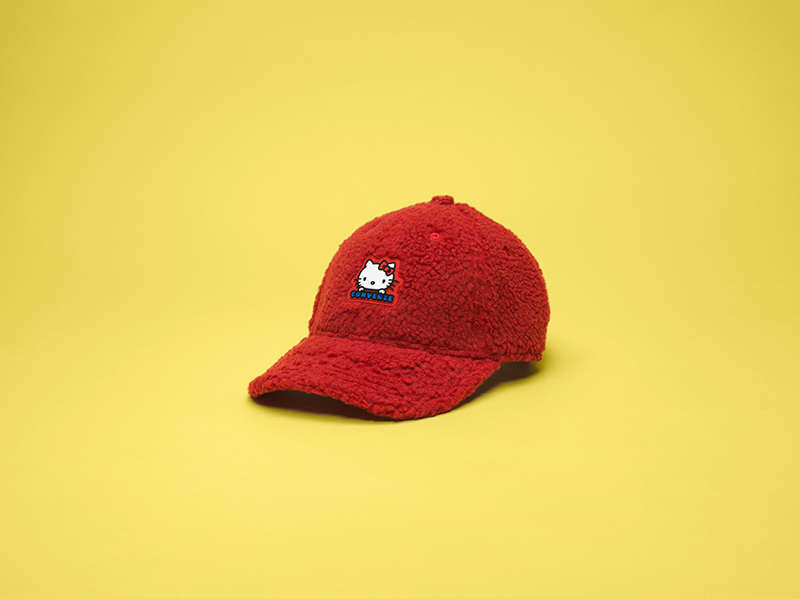 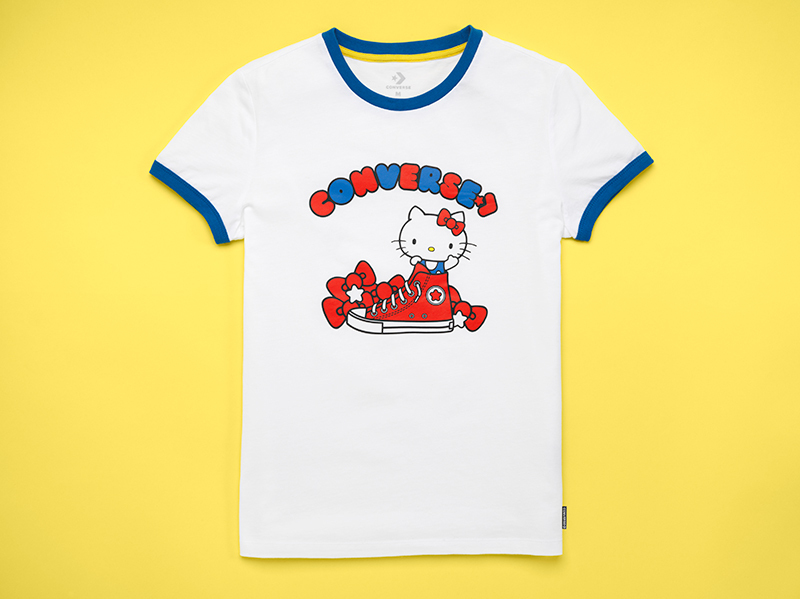 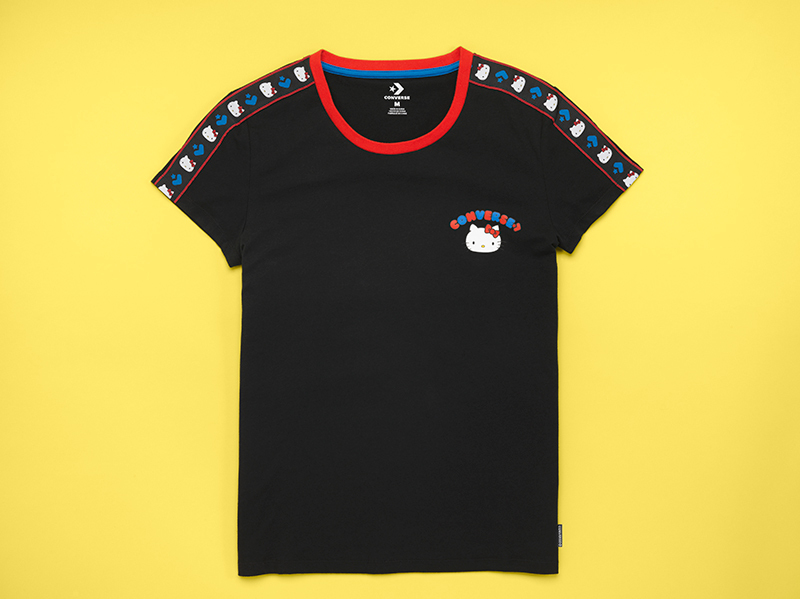 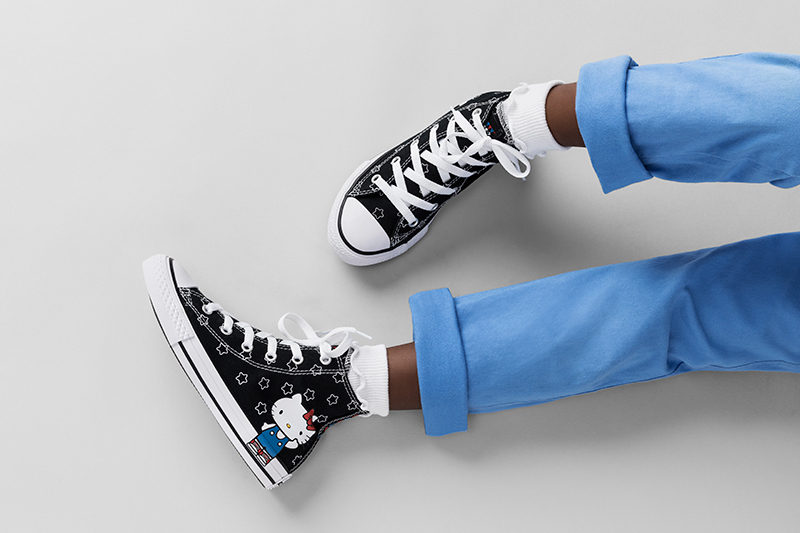 After releasing their first collection last August, Converse and Hello Kitty are back in time for the holidays with a new collection of footwear, apparel and accessories. 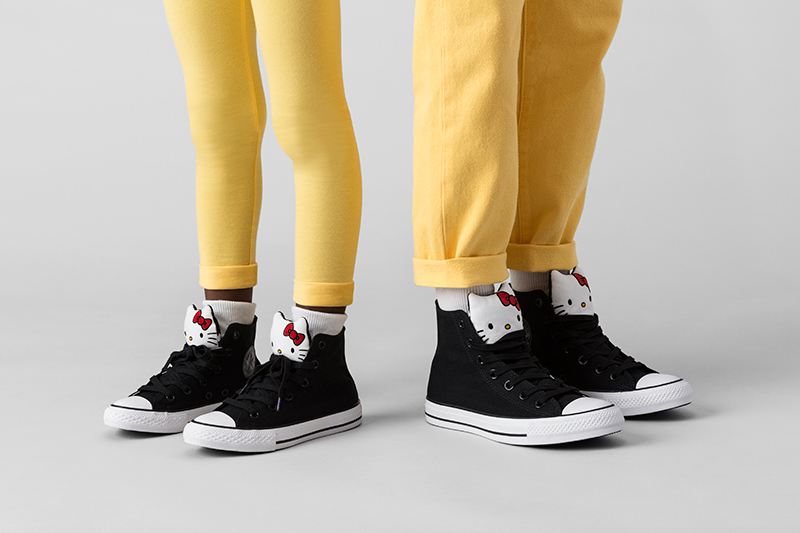 Hello Kitty continues to bring their brand of cuteness to two classic silhouettes, the Chuck Taylor All Star, Chuck 70 and One Star. 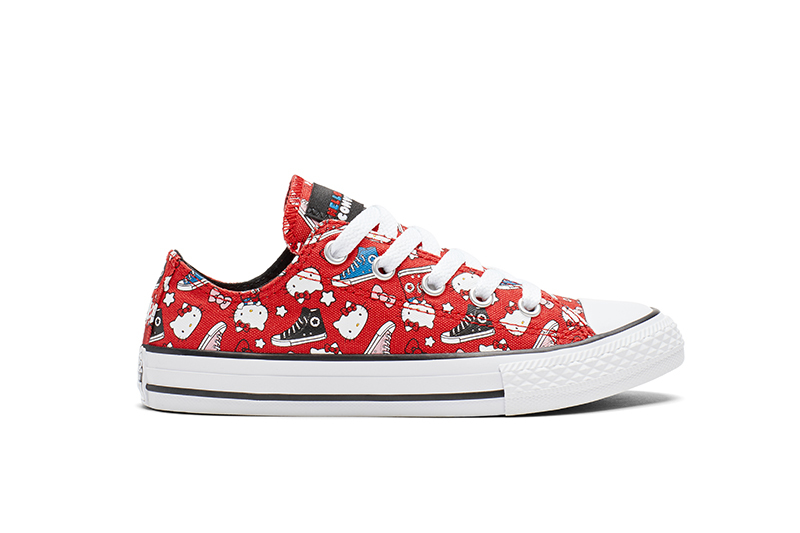 Done in red and black, this One Star has Hello Kitty peeking out from the heel. 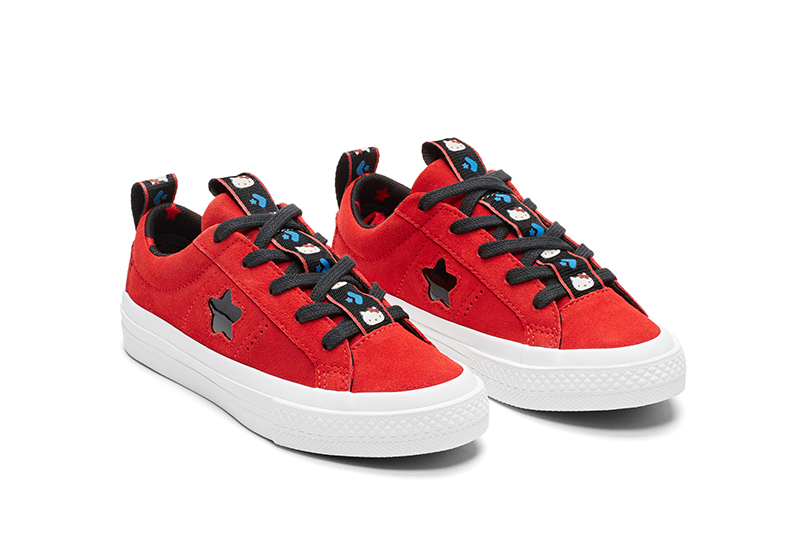 Co-branded heel and pull tabs and a star-riddled sockliner makes this One Star stand out. 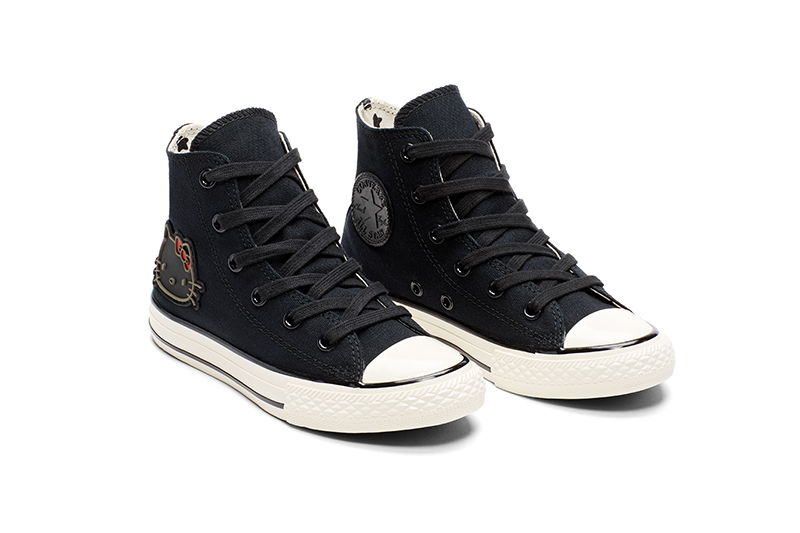 There are two versions of the The Chuck Taylor All Star Hi available this season. 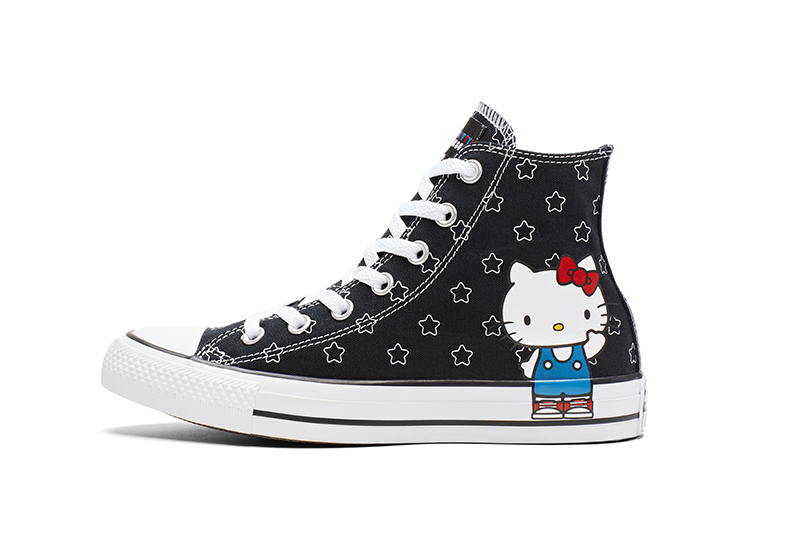 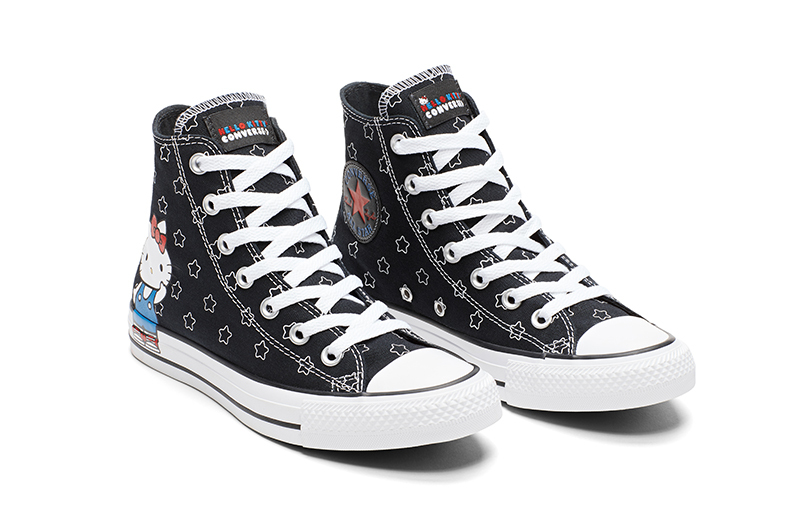 One is done in black with repeating stars throughout the canvas upper with Hello Kitty standing on the lateral side. 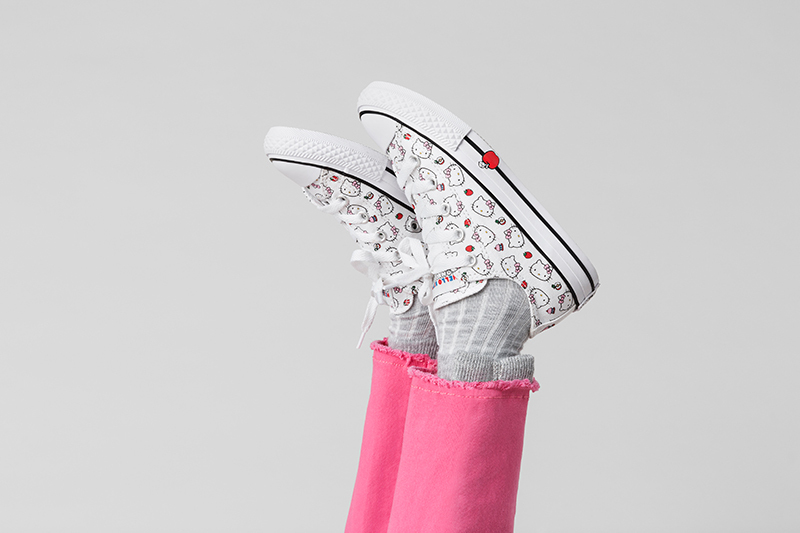 Co-branded logos are found on both the tongue and heel. 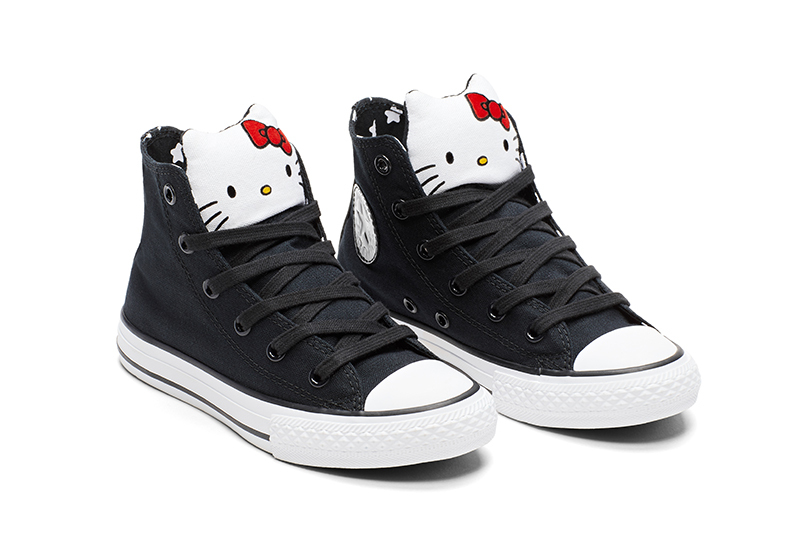 The second CTAS Hi is done in basic black with a Hello Kitty face for its tongue. 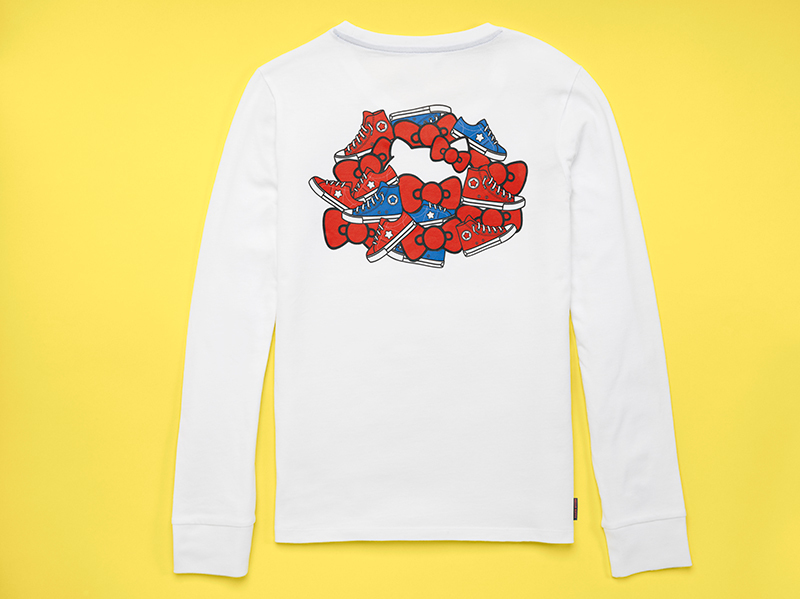 A patent leather patch and strip dress up the sneaker to go with the co-branded sneaker. 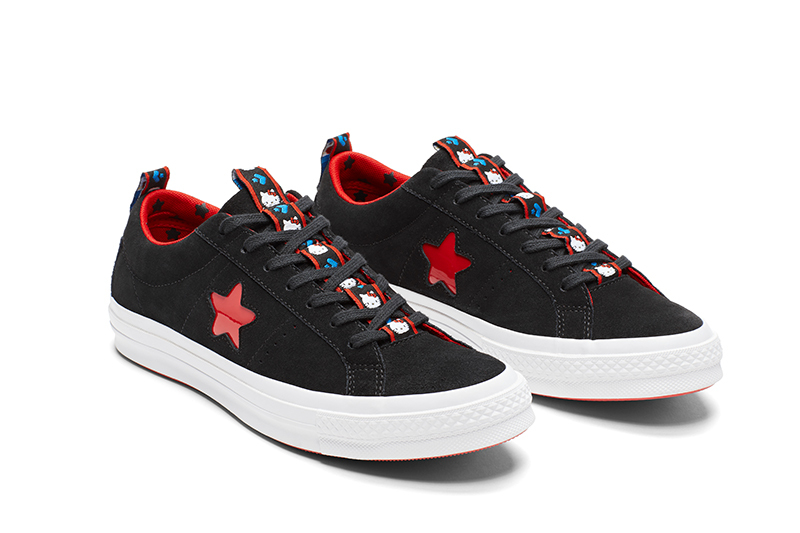 Two variants of the CT All Star Ox (low) are available in this collection, one in white and another in red. 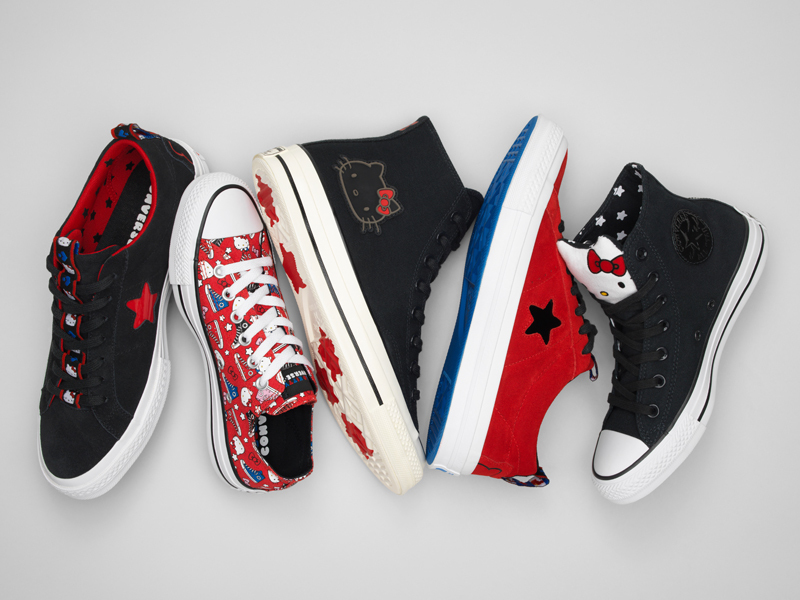 The red CTAS Ox is filled with stars, bow, and face graphics. 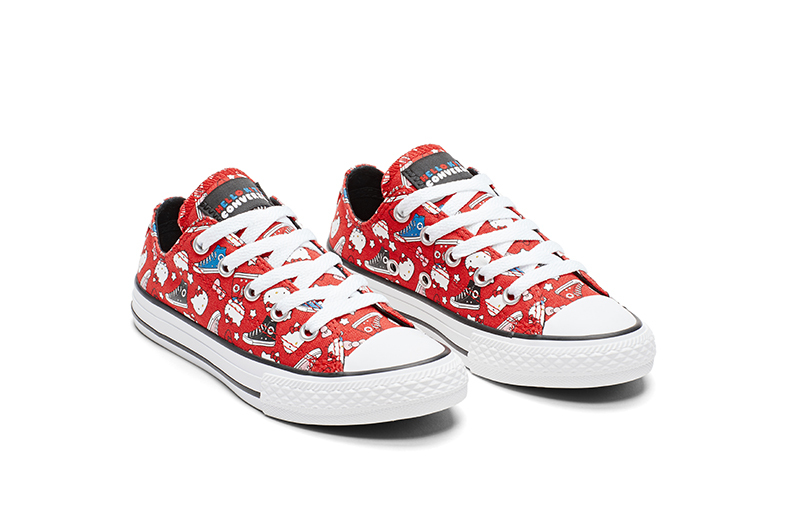 The white CTAS Ox on the other hand has apples, cupcakes and face graphics throughout with an apple graphic found on the shoe’s foxing. 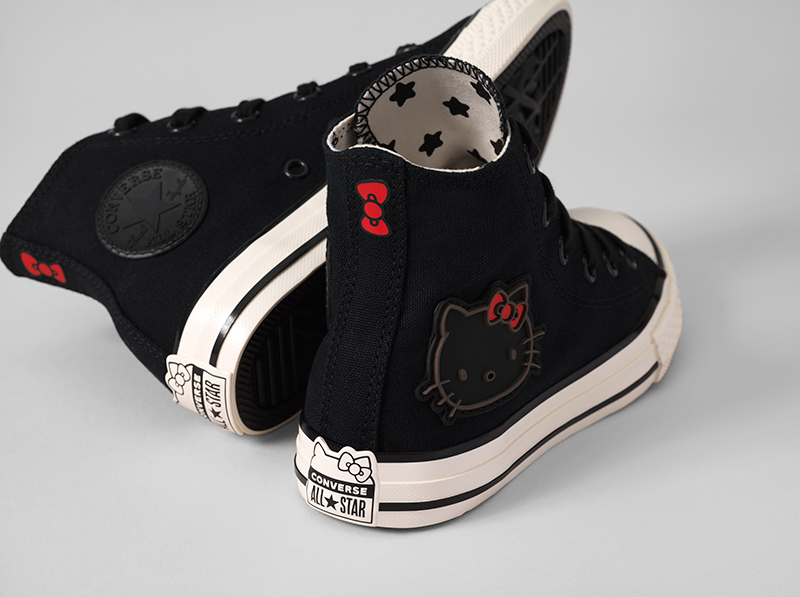 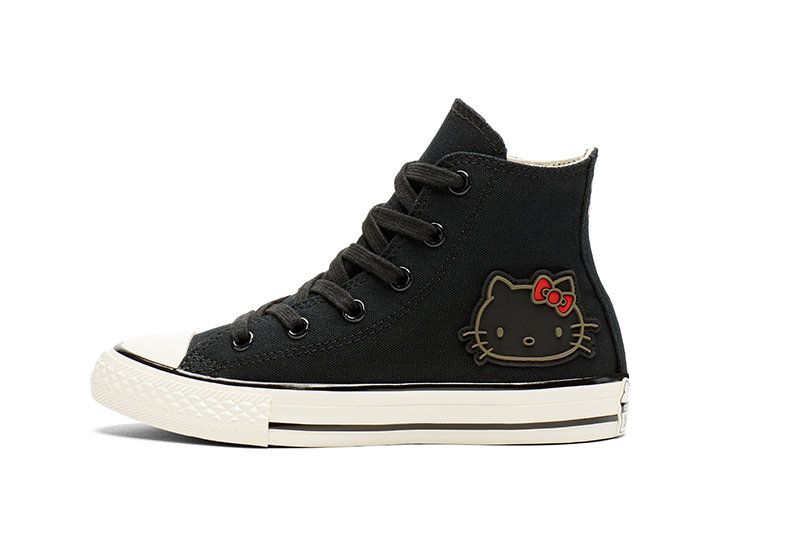 Lastly, the Chuck Taylor 70 HI is done in black with a rubber Hello Kitty face and CTAS patch are stitched on the upper. 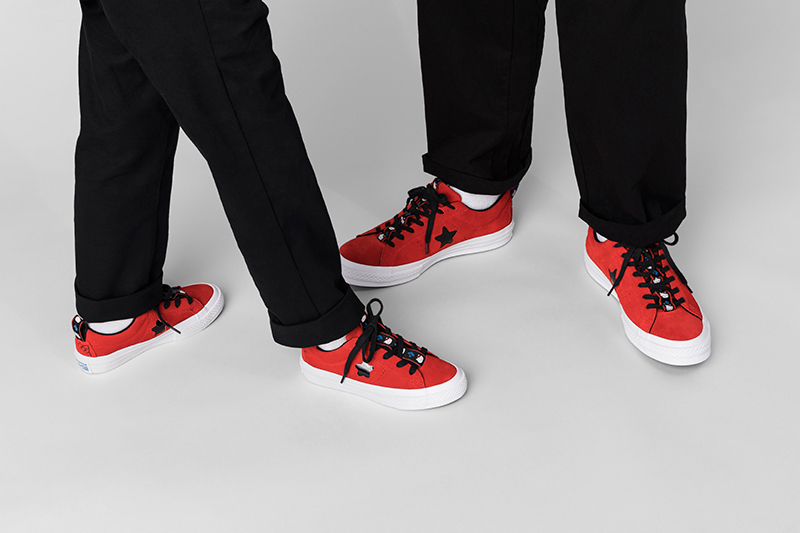 An embroidered red bowtie is also found on the shoe’s heel. 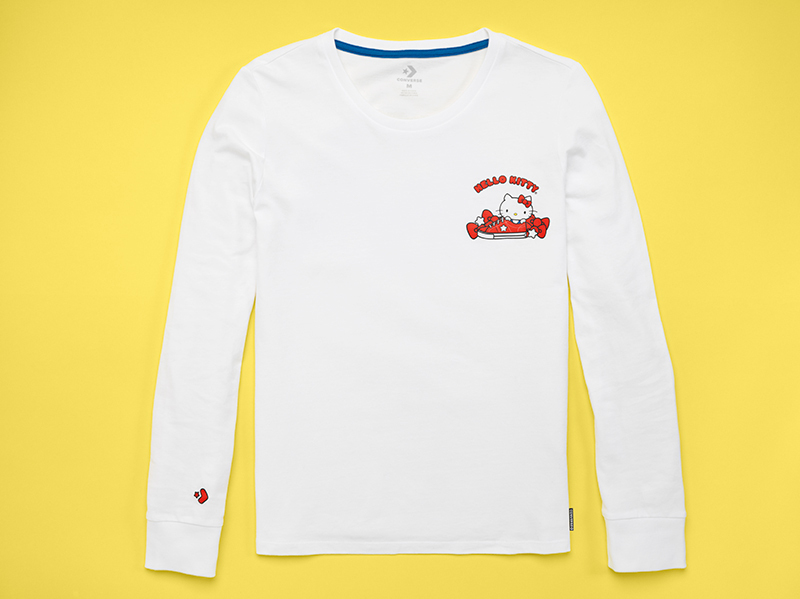 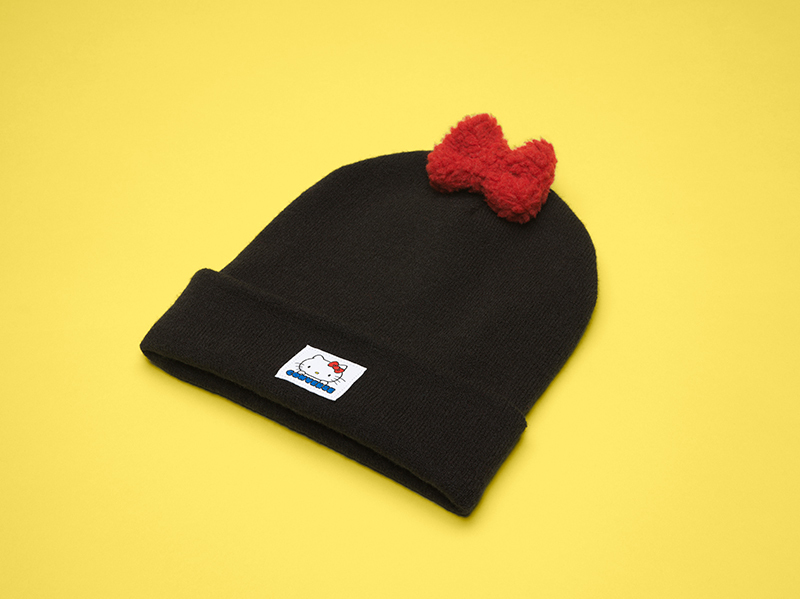 The collection also features co-branded sweaters, tees, beanies and hats. 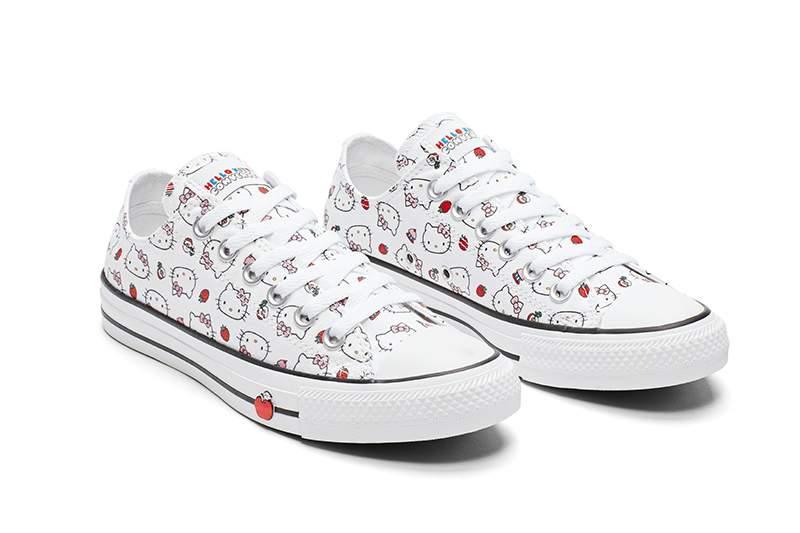 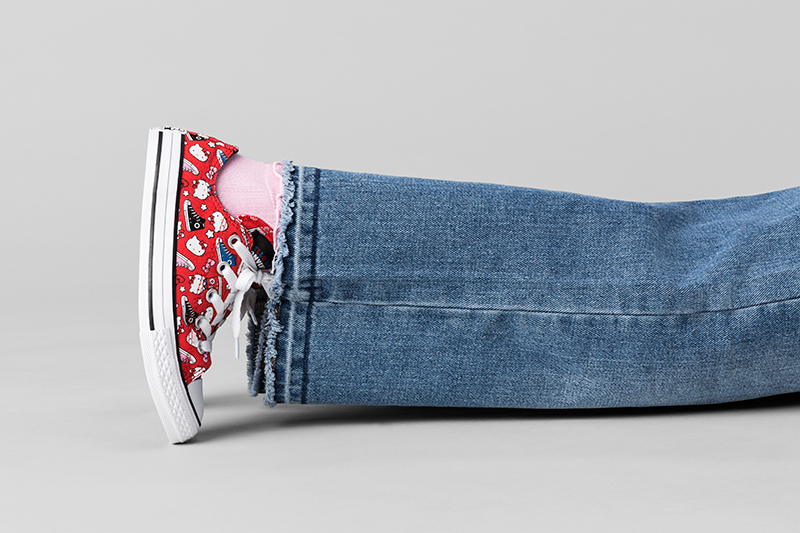 The all new Hello Kitty x Converse collection drops today, December 6 at Converse stores and stockists.